‘Just Eats With Chef JJ’ – What’s the dish? 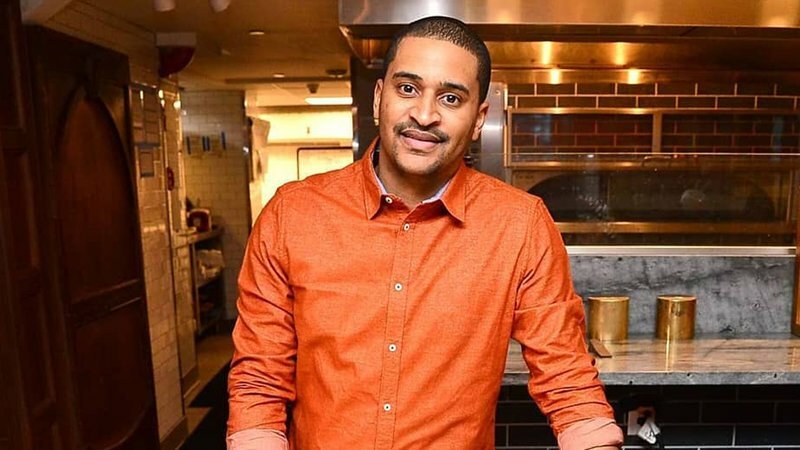 Chef JJ Johnson believes that the recipe for a successful dinner party is equal parts stimulating conversation and great food, which he endeavors to convey in a new series airing on CLEO TV. In each episode of “Just Eats With Chef JJ,” airing Saturdays on the newly launched cablenet, the New York-based chef and restaurateur hosts a dinner party for family and friends at his hip, trendy loft in the Manhattan neighborhood of Harlem, preparing dishes from his restaurants and personal collection, serving cocktails and wines and just conversing with those hanging out in his kitchen. More a talk show than a how-to, the series does offer up food info as Johnson prepares dishes such as a chipotle barbecue shrimp, a collard green salad, a lobster pot and his childhood chicken parmesan, and he directs viewers who want to know more about them to recipes on his website. There are also segments on mixology and wine selection. Guests appearing include rappers Yandy Smith and David Banner, actors Laz Alonso (“Fast & Furious”) and Naturi Naughton (“Power”), and former NBA star Stephen Jackson, all of whom eat, drink and are merry in Johnson’s kitchen.